1458 - 65 Tower built. 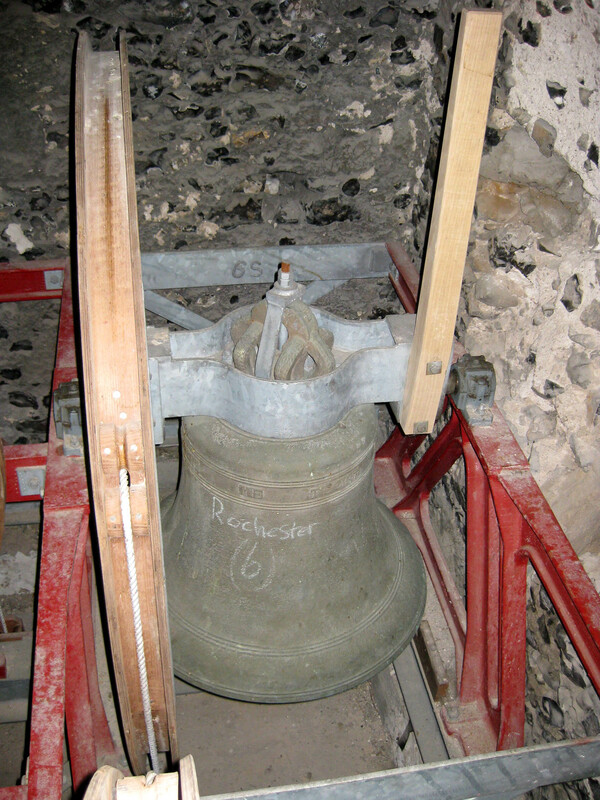 1621 3rd (of 5) recast by Joseph Hatch. 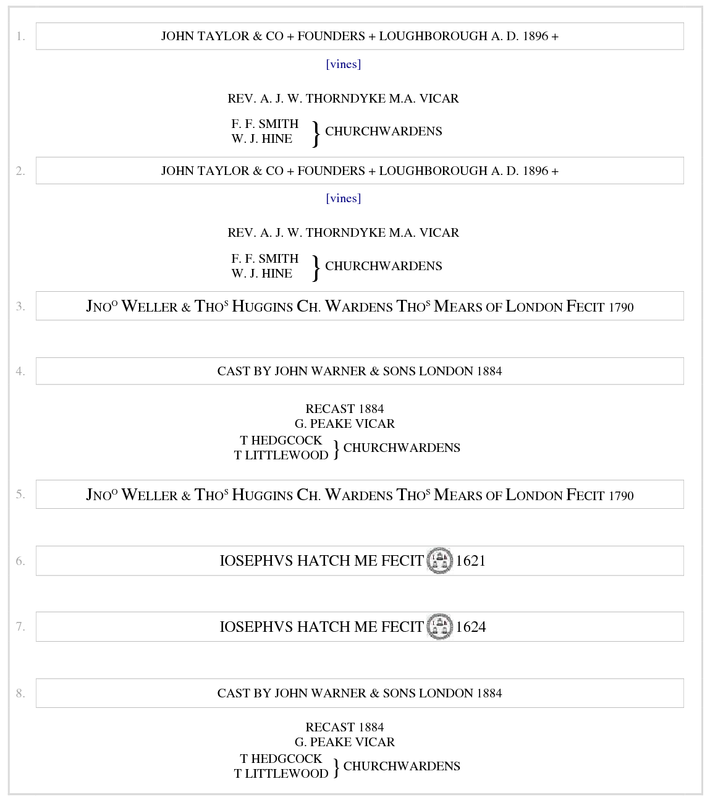 1624 4th (of 5) recast by Joseph Hatch. 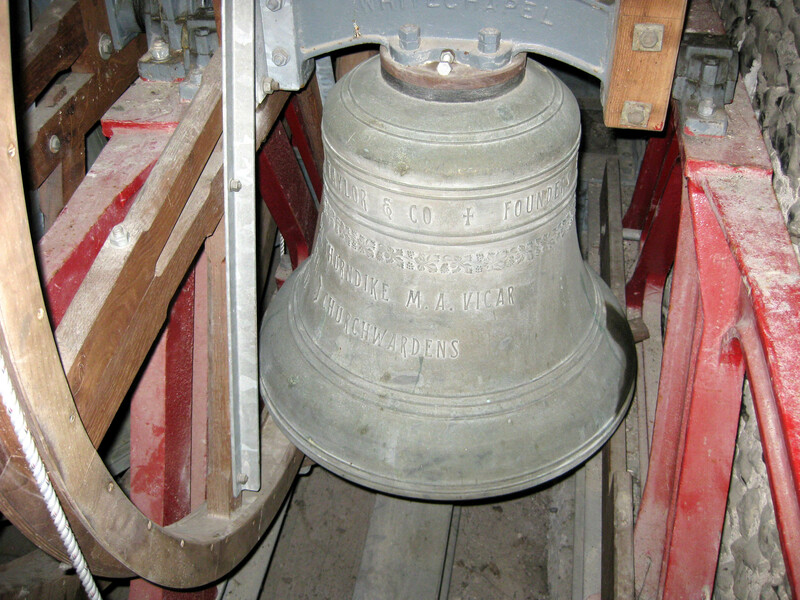 1761 Treble and tenor (of 5) recast by Lester & Pack. 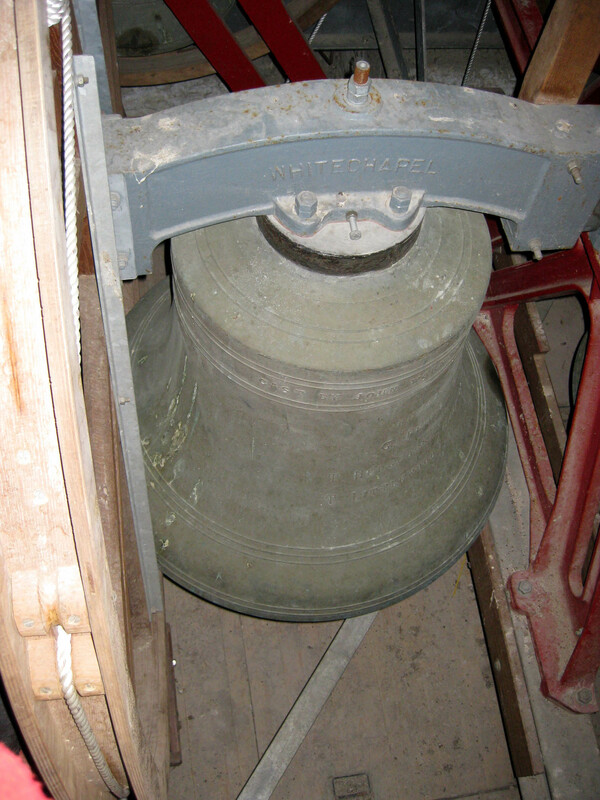 1790 2nd (of 5) recast by Thomas Mears and treble added to make 6. 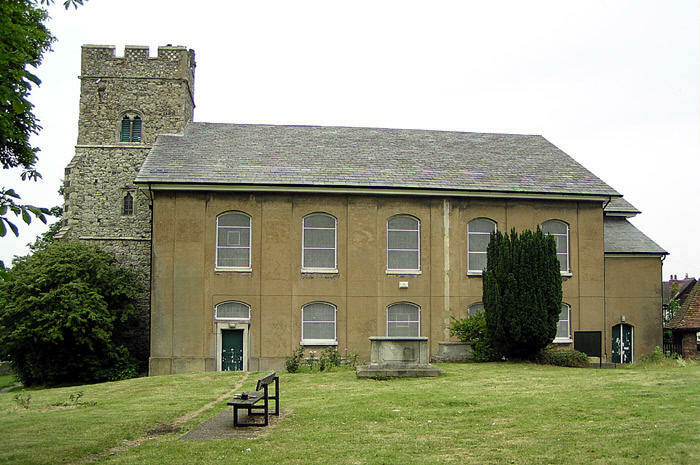 1823 Church demolished, except for the tower, and rebuilt. 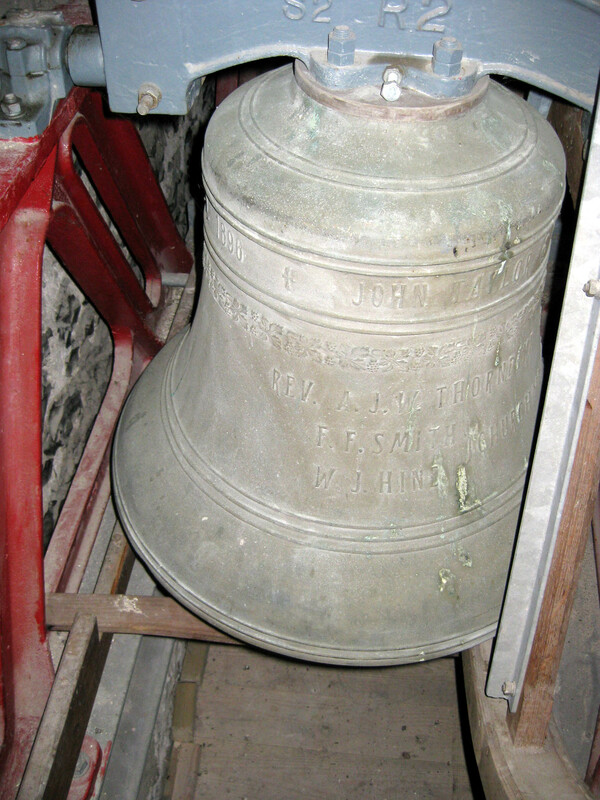 1843 -4 Bell rehung by John Stedman. 1884 2nd and tenor (of 6) recast by John Warner. 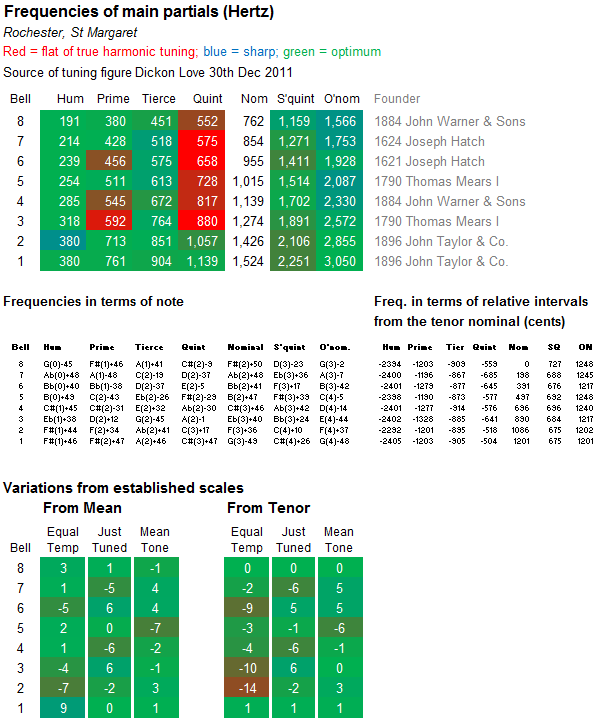 1896 2 trebles added by John Taylor to make 8. 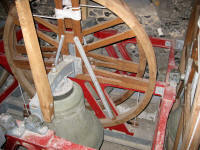 The bells were rehung in the anticlockwise timber frame. 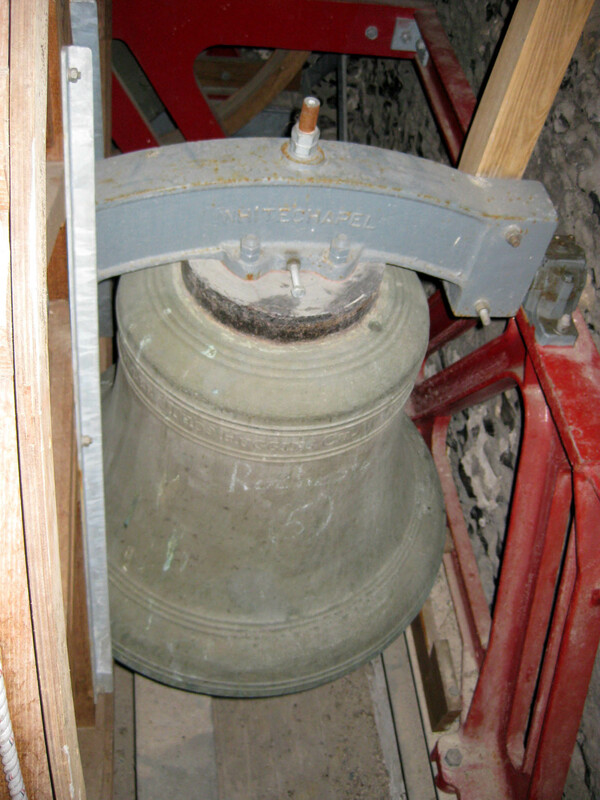 1960 A new ringing floor was built for the bell chamber. 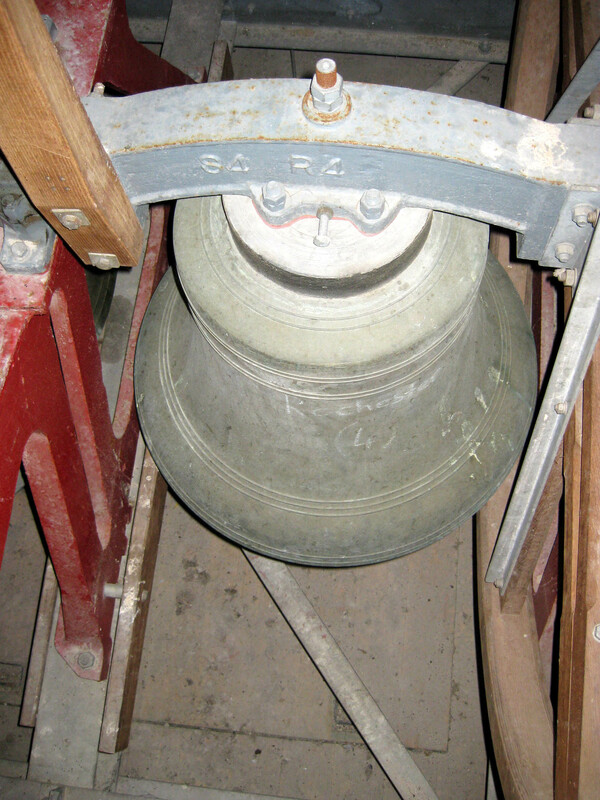 1962 Ringing resumed after a short silence owing to their awkwardness. 1974 Bells declared unsafe and all ringing stopped. 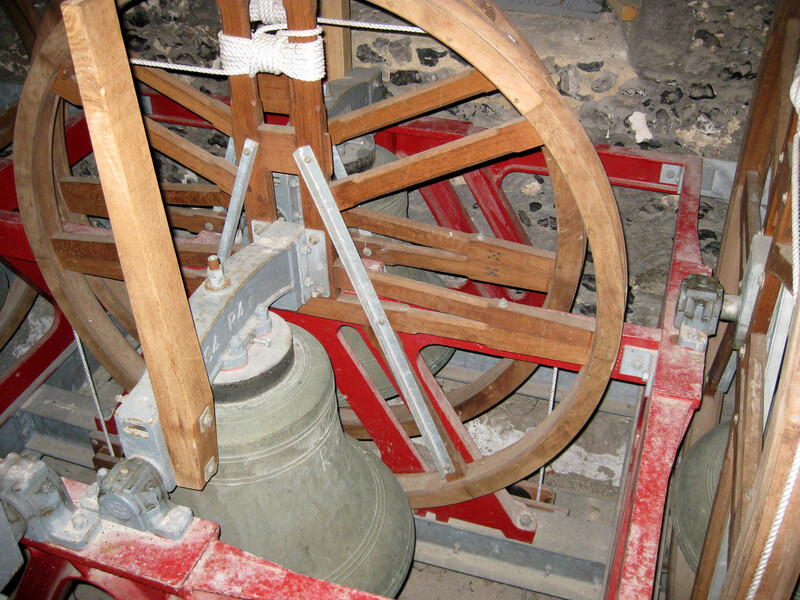 2005 3rd Sept The bells and frame were removed from the tower by the KCACR. 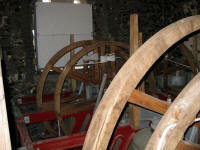 They were retuned at Whitechapel. 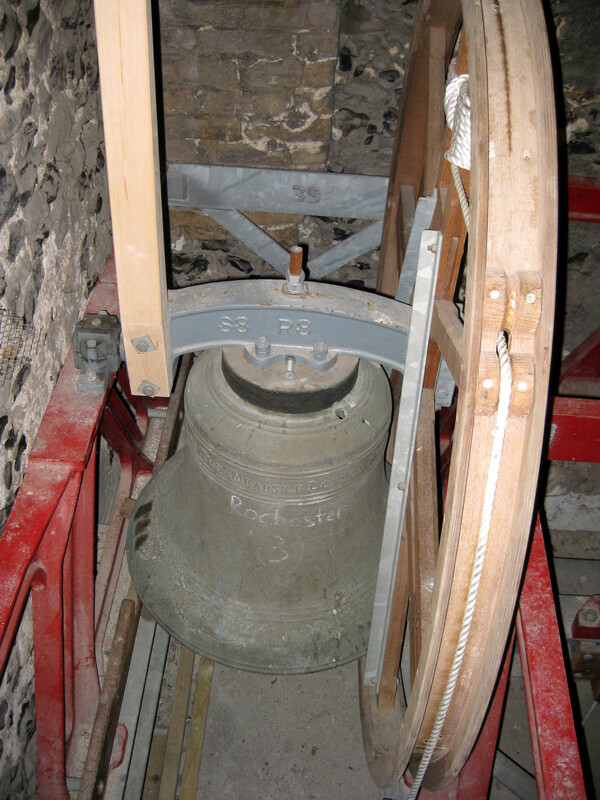 2006 The bells were rehung in the tower in a new clockwise frame by Whitechapel.